I’m not sure if y’all know but I love me my stanky food. Garlic, onions, peppers, oh yeah. The stinkier the better. So it’s no surprise that I’m thrilled to find out today is National Garlic Day. Seriously it’s a thing. Look it up. 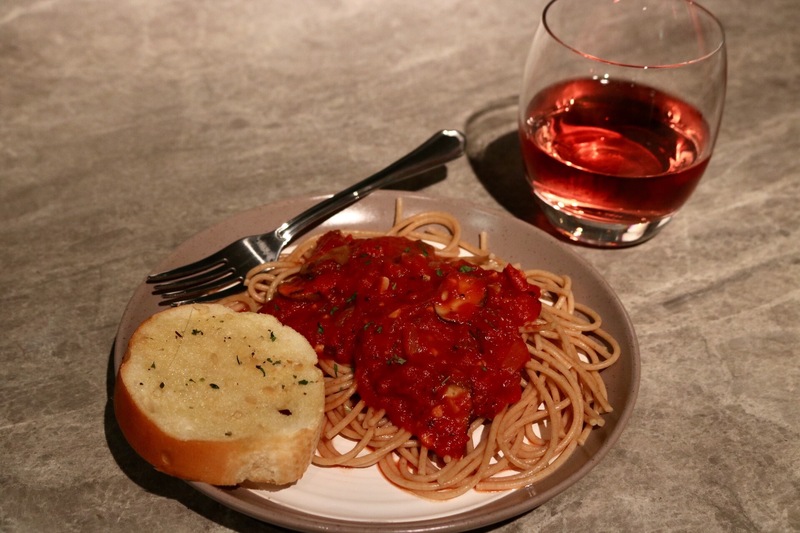 I’ve been on this huge pasta kick lately and decided it would be perfect to do a garlic bread and spaghetti with homemade sauce. I am lazy and impatient so traditional sauce is not my thing, sorry if you were all about that. 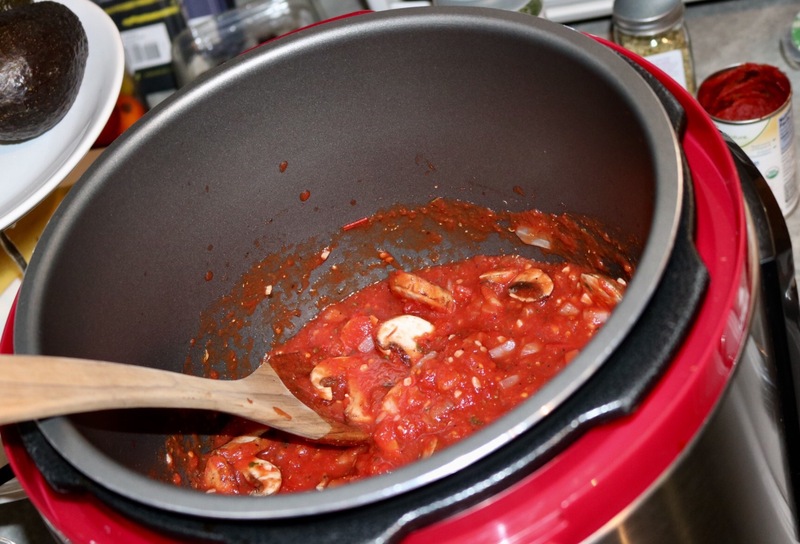 I like to make a big batch of sauce in the pressure cooker and eat it throughout the week. Since I didn’t let it simmer aaaaaaallllll day long it only gets better as the week goes by and the herbs get really soaked up. Let’s get started y’all I’m hungry! First put a pot of water on to boil and turn your oven to 350F to preheat. While you’re waiting on the water cut up your veggies and herbs. I love to use fresh herbs if I have them. My favorite things to put in my sauce are garlic, onion, mushrooms, oregano, basil, pepper, salt, a tiny bit of sugar, and of course tomatoes. 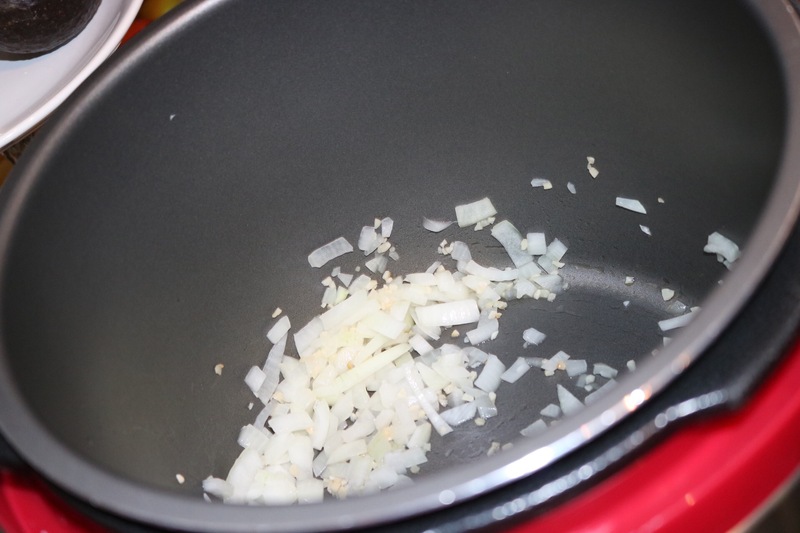 Personally, I like to turn on my pressure cooker and put in a tablespoon of olive oil and let my garlic and onions simmer a bit. Then add in the rest of your ingredients and seal up your cooker. EditBy this point your water should be boiling and you can add in the pasta to cook. I try to use as little oil as possible so I just add a dash or two of salt to keep my pasta from sticking together. Now it’s time for the bread. You can make your own bread if you’ve got time. 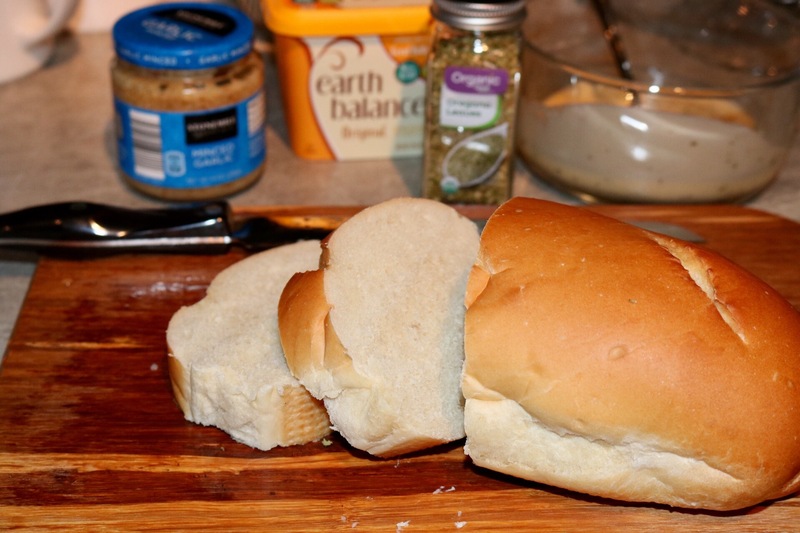 Check out this fantastic roll recipe. I posted about it a while back and it really is great recipe. I was lazy and bought bread from the local bakery. I mixed melted vegan butter with the minced garlic, oregano, salt, pepper, and onion powder. 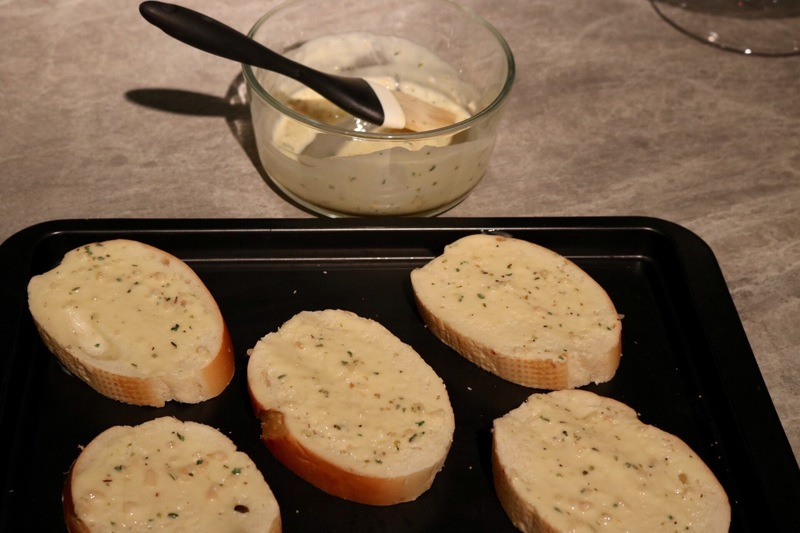 Slice the bread and using a brush spread your garlic mixture across the slices. Lay the bread across a pan and place it in the preheated oven until lightly browned. Make sure not to let it burn. It should only take about 10 minutes. So make you a big heaping plate of pasta and sauce and don’t forget that deliciously aromatic bread to soak it up with! Here is a printable version to make it nice and easy for you. A delightfully easy from scratch marinara recipe and garlic spread to match. If you like it spicy add some red paper flakes. Set a pot of water on to boil for the amount of pasta you want. When the water is boiling add for recommended amount of time. Cut onion, garlic, and herbs. Turn on pressure cooker. Add oil, garlic, and onion. Stirring occasionally let these lightly toast being careful not to burn. Add other ingredients and stir until combined. Seal pressure cooker and let sit for about 30 minutes. Slice bread to preferred thickness. Melt butter and combine with garlic and seasoning. Place bread onto pan and spread mixture. Toast in oven for about 10 minutes or until golden brown. Careful not to let burn. What’s your favorite way to use garlic? Leave a comment below. Don’t forget to follow me here at The Girl and The Coconut for more food, fun, and travel! Or on Instagram, Snapchat, and Twitter @girlndacoconut.